On some level rankings are a necessary evil. It makes you wonder is “power” more than just a fitting adjective in these exercises? Unlike college football, for example, where pre- and early season rankings can bias a team’s place in the national conversation in Major League Lacrosse these rankings simply function as an armchair coach’s perspective of where teams sit in regard to the other teams in the league. Just like in week 1, two teams had the byes (Charlotte and Boston) so we don’t have a completely comparable body of work from everyone but at least we can rank every team now. Hooray! I don’t think there can really be any debate about New York sitting atop the league right now. The Lizards went on an 11-0 run against Rochester – IN THE FIRST QUARTER. 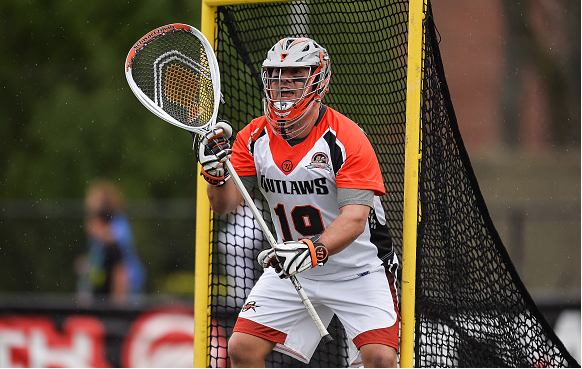 One of the best goalies in the world, John Galloway, got chased after surrendering 17 goals. They’re basically the Death Star of lacrosse offenses at this point. Greg “Beast” Gurenlian went 23 for 26 at the faceoff dot, too. Let’s do some quick math: Possessions + Sithian regard for opposing goaltenders = #1. The #2 spot is by far the most difficult at this point. In order to fend off accusations of home town bias, I’d make a case for Denver thusly: they’ve played 2 games already, which helps their case. The Boston loss hurts, but I wouldn’t consider it a bad loss. In their win over Ohio the Outlaws looked like a more complete team than they did the week prior. This coalescing as a team and the gritty win makes Denver a very dangerous team. The Cannons were idle this week. I’m not going to drastically penalize a team for an early bye, especially since they played so well last week. If you want to consider Denver and Boston as 2A and 2B, respectively, I won’t be mad at you. Considering how badly Chesapeake struggled last year their opening win over Florida has things going in the right direction. It seems that everyone is talking about the return of Jovan Miller, who really got a raw deal from Charlotte last year. Miller was a solid two-way presence and even chipped in two assists. Welcome back to MLL Jovi Nation! Combine the Miller resurgence with fellow Syracuse alum Matt “The Human Clear” Abbott in the midfield, and a Ben Rubeor who’s shooting stroke returning from AWOL status last year the Bayhawks look to be back. Once Kevin Crowley and Joe Walters return from their NLL duties… look out! Charlotte ahead of Rochester, you may ask? Well, yes. Charlotte didn’t play so I’m not going to drop them in a knee-jerk fashion. Remember they were beating Rochester up until the last moments of week 1. The jury is still out on this team so middle of the pack seems fair for now. On the other side of coin, Rochester did play this week and got smoked by House Targaryen, I mean the Lizards. Losing by 10 sets the Rattler’s season goal differential to -9. That’s no bueno. If the Ratz had a more convincing win over a middling Charlotte team they’d be higher. On the bright side John Galloway is not going to give up 17 goals every week, and Ty Thompson notched a hat trick, suggesting he might be getting more comfortable with the pro game after disappearing in the second half last week. Like Rochester, Ohio suffers from being steamrolled by New York. That loss put them in a hole, and then losing to Denver didn’t them any favors. To the Machine’s credit they battled back down three in the fourth quarter to tie the game, but Mike Bocklet seemed to channel Jake and Elwood Blues on Sunday afternoon. That said, the Machine went 3 for 4 on the EMO, which was the best team total of the weekend. When all the cylinders are clicking the Machine are dangerous, but get them out of sync and they can be disassembled and sold for parts. At this point in the season the last place ranking is partially due to the fact that the Launch’s first game was a loss, and the partially due to the fact that they looked lost of defense, allowing the Bayhawks to dictate for much of the game. Defensive woes in Florida should surprise no one, but if they can’t light up the scoreboard on the other end of the field to compensate it will be a long season. Brett Queener’s goal earns the Launch a bit of extra dap this week, too.